Fionna Agomuoh has been a tech writer and product reviewer since 2011. Her writing has appeared in Newsweek, International Business Times, and others. 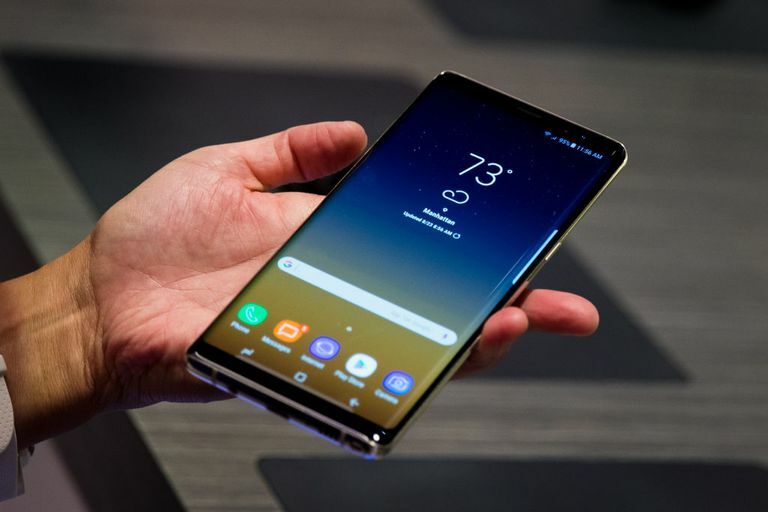 The Samsung Messages app is ideal if you frequently text with other Samsung users, as everyone can take advantage of features specific to Samsung devices. With newer models, starting with the Galaxy S8 and later, it's possible to include GIFs and stickers in your messages. Instructions in this article apply to the latest version of the Samsung Messages app built into Samsung devices. Some features are only available for phones running Android 8.0 or later. Open the Samsung Messages app. Tap the three dots in the upper-right corner of the app window, then choose Settings. Tap Messaging app, then tap Messages if it isn't the default app. Open Messages and tap the messages icon in the lower-right corner. Tap the contact(s) from your contacts list you wish to add to a chat. Tap where it says Enter Message. Type a message, then tap Send. To add a new contact to an existing chat, open the message, then tap the three-dot menu option. Tap Add/remove and add the desired contact(s). This method can also be used to remove contacts from a chat. For Emojis: Tap the smiley face to the right to display the emoji keyboard. For Stickers: Tap the square smiley face option for stickers. For Emojis: Swipe right to find more options in the same emoji type. Tap the emoji icons at the bottom to find different options, such as food, animals, sports, and others. For GIFs: Scroll through the GIFs vertically, or scroll horizontally through the GIF options at the bottom of the keyboard. Tap the text box or the keyboard icon in the lower-left corner to return to the keyboard. What is Samsung Easy Mute? What is Samsung Separate App Sound? How do you Send GIFs On Android? What Is Samsung's One UI for Android?